Rate hikes are ahead – but how many? The Congressional Budget Office is projecting that the Federal Reserve will raise interest rates nine times by 2020, with the federal funds rate hitting 2.8% by that year. While the Fed held off on an interest-rate hike in May, the CBO projected plenty more ahead in a recent presentation of its Budget and Economic Outlook for 2017-2027. The Fed kept interest rates near zero for almost a decade in order to bolster economic growth, but finally hiked rates in December of last year. 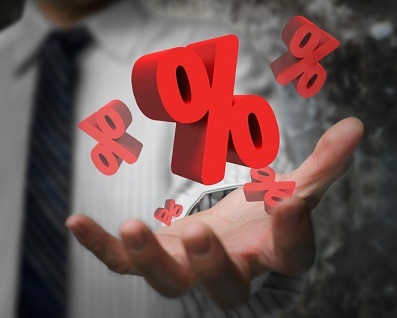 In March, the Fed hiked rates again, upping the federal funds rate to ¾% to 1%. 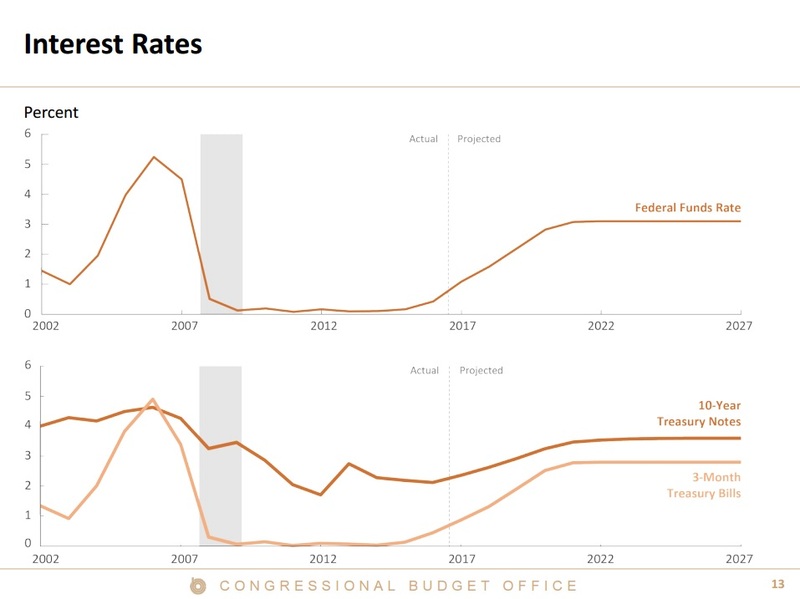 The CBO’s projections showed interest rates topping 3% by 2022 and hovering around 3.1% by 2027. That rate sounds high by currents standards, but it’s still low compared to pre-crisis rates, which hovered above 5%. “Although CBO projects that interest rates will rise above those currently in effect, they are projected to remain low by historical standards, for several reasons: slower growth in the labor force, slightly slower growth in productivity, and only partial dissipation of the factors that have increased the demand for Treasury securities and held down the term premium,” the CBO wrote. Could we see an extra Fed rate hike this year?